Washington, D.C. -U.S. Senators Pat Toomey (R-Pa.) and Doug Jones (D-Ala.) today introduced bipartisan legislation that ensures restaurants and retailers can take full advantage of a 2017 tax law provision meant to spur renovations and investment. The Tax Cuts and Jobs Act made historic, positive changes to the federal tax code, including allowing businesses to immediately write off costs associated with improving facilities instead of having to write off those expenses over a long period of time. An inadvertent drafting error left restaurants, retailers, and other leaseholders from taking full advantage of these updated expensing rules, resulting in cost-prohibitive renovation projects and stalled investments. 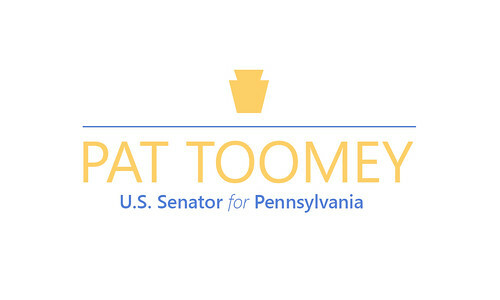 Senators Toomey and Jones' new legislation - the Restoring Investments in Improvements Act - would ensure the full cost of store, office, or building improvements can be immediately expensed as was originally intended. The Joint Committee on Taxation has concluded that this legislation would have no impact on the federal budget deficit. "As a former restaurant owner, I know keeping a small business alive is always a challenge. The federal tax code should not make it more difficult for a restauranteur or a retailer," said Senator Toomey. "Capital invested in a company should be fully deductible at the time of the investment. This helps make the investment affordable. Our simple, bipartisan fix recognizes the economic benefits from immediate expensing and will help grow the economy and create jobs." "Making sure our local small businesses can invest in themselves is critical for the economic success of Alabama's communities. That's why this bipartisan legislation is so important: to make sure the tax code works as intended, and restaurants, retailers, and other businesses can make the improvements they need to make their stores competitive, vibrant, and safe," said Senator Jones. "In the past year our family furniture business has undergone significant growth and made large investments with the opening of two new furniture stores in Erie and Pittsburgh. This investment has nearly doubled our employment with the addition of over 100 jobs to our Company. Now we have placed two large investment projects on hold as a result of the current tax language not allowing us to deduct these building improvements on our tax return as in the past. By passing this bill it will allow us to continue our business growth plan that will help further create jobs both for our company as well as our local community," said Matt Schultz, president of John V. Schultz Furniture in Erie, Pa.
"Restaurants operate on razor thin margins and in Pennsylvania we've seen first-hand the impact of restaurant owners' inability to expense safety improvements and other renovations to their businesses. It's a deterrent, limiting the degree to which restaurants can invest, which ultimately impacts the customer experience. This proposed legislation will not only benefit restaurant owners and workers in Pennsylvania, but around the country. We commend Senators Toomey and Jones for championing this critical fix," said Jim Fris, Pennsylvania Restaurant & Lodging Association Chairman of the Board and President & CEO of PJW Restaurant Group. This legislation is cosponsored by Angus King (I-Maine), Joe Manchin (D-W.Va.), Rob Portman (R-Ohio), Pat Roberts (R-Kan.), Jeanne Shaheen (D-N.H.), Kyrsten Sinema (D-Ariz.), Martha McSally (R-Ariz.), and John Thune (R-S.D.). When enacted, the Tax Cuts and Jobs Act removed tax barriers to many different types of business investments, allowing businesses to save money by deducting the cost of certain investments under a provision known as "100 percent bonus depreciation." View the text of the legislation here.